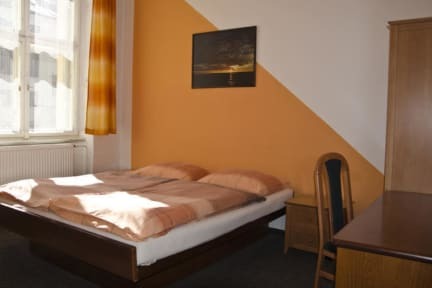 AZ Hostel, Praga, Czechy : Rezerwuj teraz! You cannot be more central in the city than in our hostel. We are situated directly in the famous Wenceslas Square. You can reach all the important monuments, sights and bars easily by foot, without taking public transport. There is no curfew in our hostel and our staff is very friendly. The rooms are clean, comfortable and spacious and have shared facilities. There is no extra charge for linen or towels. We do not provide larger dorms than for 8 people. Check-out is at 10.30 and check-in is any time you want. You can also pay with Euro or American Dollars. We accept only cash payments. Parking can be arranged a few meters from our hostel, in Panska Street. - You can also park only 12 hours for 9 euros.